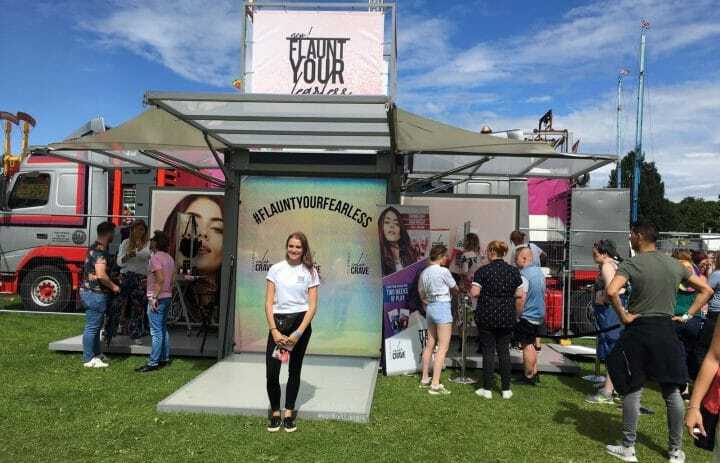 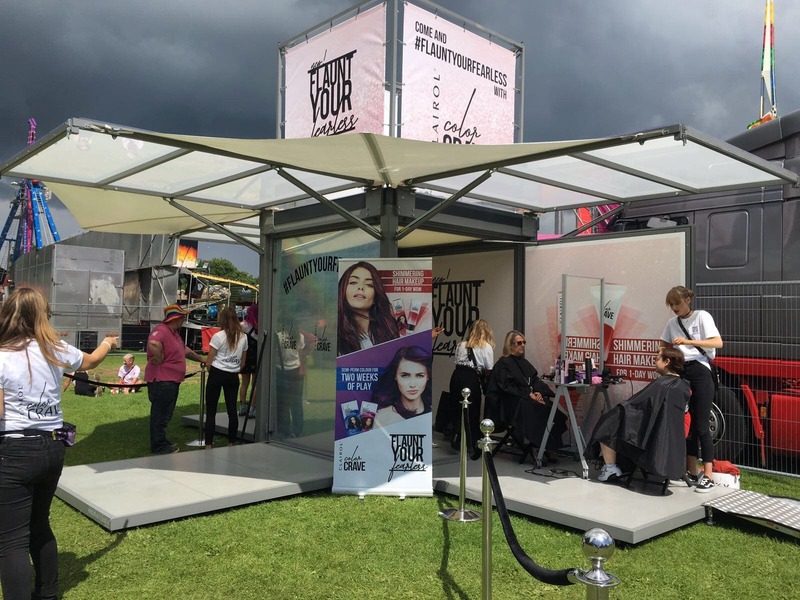 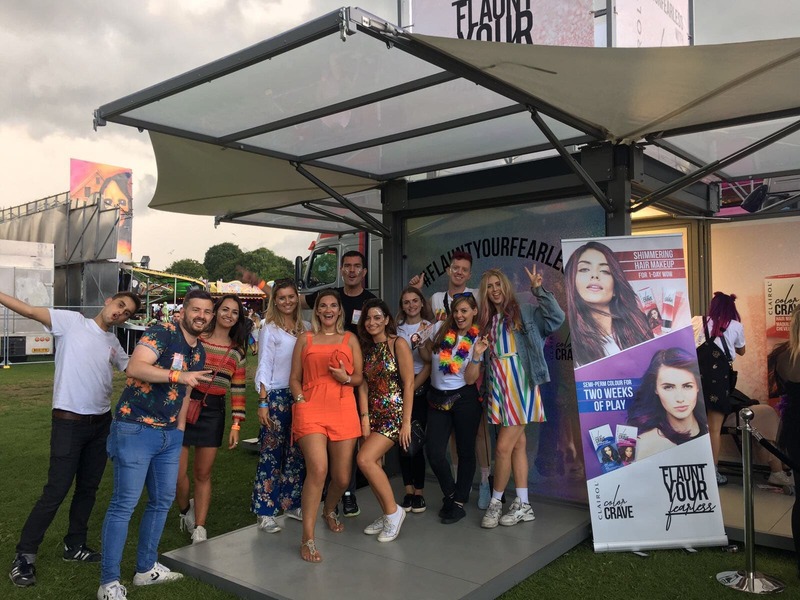 To celebrate the UK launch of ‘Color Crave’ hair make-up range, Clairol teamed up with Brighton Pride to raise awareness of the products and drive trial amongst festival goers. 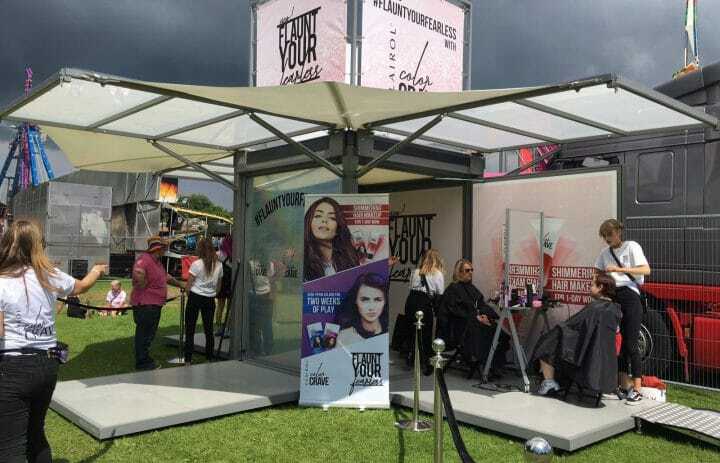 The products are fun, temporary hair colours that encourages experimentation and expression of individuality. 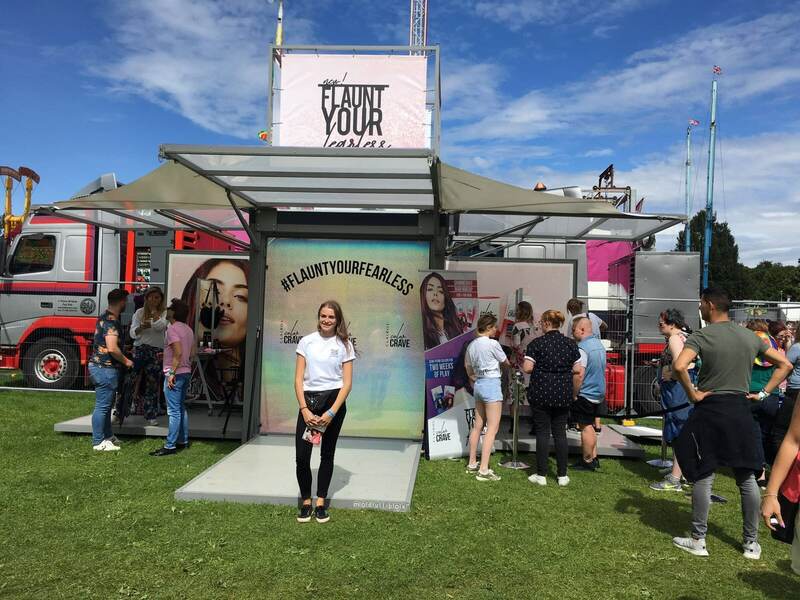 We designed, produced and managed an attention-grabbing activation stand, suited for outdoor use at the festival. 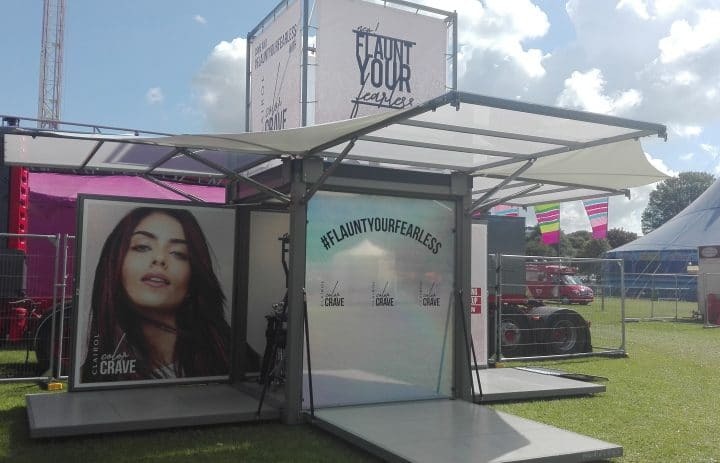 The stand had bespoke panels for branding and four consultation stations where festival attendees could have their hair dyed and styled. 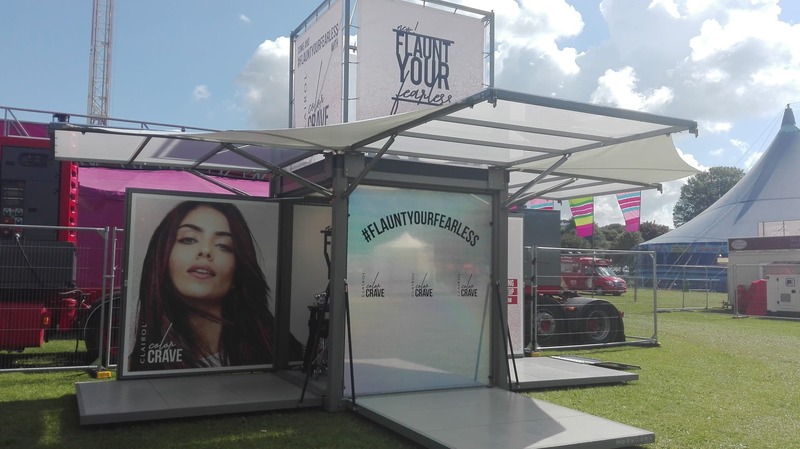 Consumers were also encouraged to pose in front of a bespoke photo wall and to share their pictures with the campaign hashtag #flauntyourfearless. 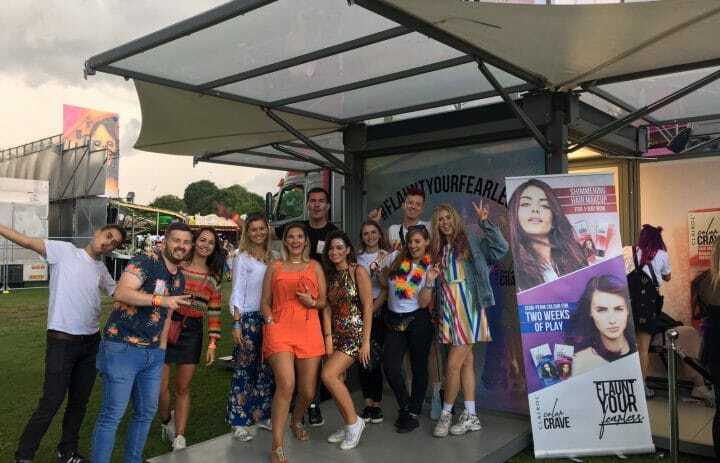 The activation took place over one day at the festival and generated extensive social media coverage and attention from the press at the event.